Buying a helmet with a new motorbike will soon be mandatory in Noida, the UP transport commissioner had recently instructed the regional transport department to ensure road safety. 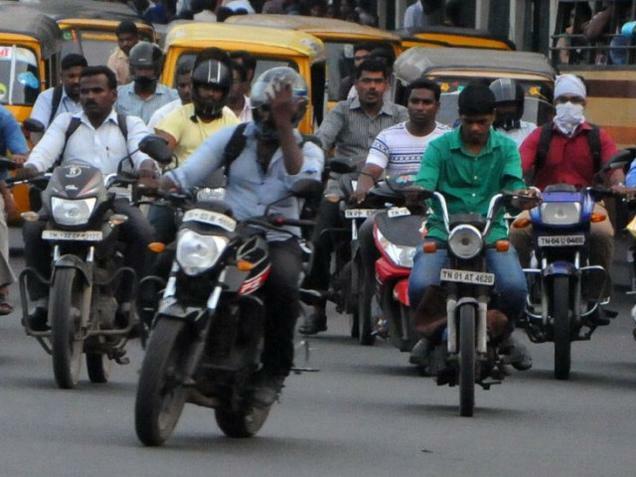 The transport commissioner, K Ravindra Naik referred to Section 138 (4) (F) of the Central Motor Vehicles Rules 1989, which recommends that the manufacturers should supply a protective headgear to every two-wheeler buyer. The transport commissioner said that the pre dominant purpose and intent behind incorporating the sub-rule of the rule is to avoid fatal and serious road accidents. Rachna Yaduvanshi, ARTO (administration) Noida, "We will conduct a surprise inspection of all the automobile dealers in the city. We will take action if anyone fails to follow the rule." The transport dealers said that they provide helmet for a cost when the customers demand. "We have not got any instruction from the officials to provide the helmet along with the vehicle. We will follow the rules if we get the information," said a bike dealer in Sector 10.